Product prices and availability are accurate as of 2019-04-20 11:03:49 UTC and are subject to change. Any price and availability information displayed on http://www.amazon.com/ at the time of purchase will apply to the purchase of this product. Eastland Chunky Tealight Holder (Set of 12). 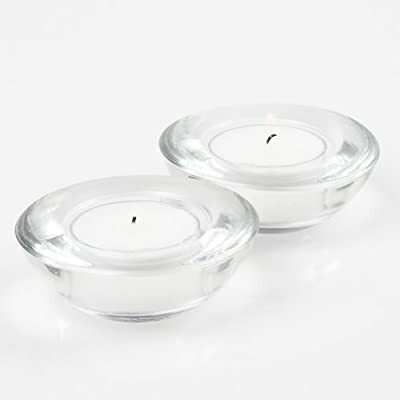 Eastland Chunky Tealight holders get their name because they are very thick glass tealight holders. Chunky Tealight Holders are made of thick quality glass and each holder measures approximately 1.0" (H) x 3.0" (D). They come in six different jewel tones and will accommodate any Eastland tealight candle (candles sold separately). Choose: Red, Blue, Green, Amber, Pink or Purple. To maximize safety and burn time, or to change the lighting effect, a Glass Tealight Holder is needed for tealight candles. Chunky glass tealight holders are great for restaurants, promotional events, parties, receptions, weddings, and home decor.